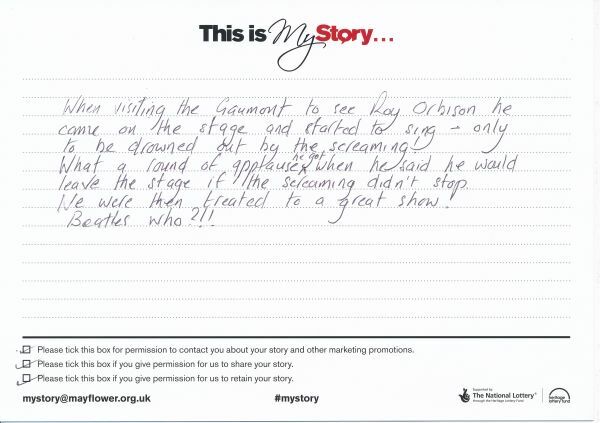 My Story Card: Mike Squires recalls coming to the Gaumont to see a performance by Roy Orbison. When visting the Gaumont to see Roy Orbison he came on the stage and started to sing - only to be drowned out by the screaming! What a round of applause he got when he said he would leave the stage if the screaming didn't stop. We were then treated to a great show! Beatles who?! !